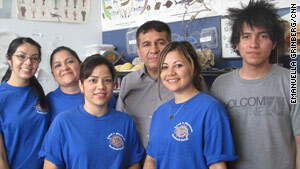 Jairo Tellez (back row, center) runs his seafood distribution business with his wife and kids. He says business is off. Video: What's next for Arizona law?